I’d be happy to wager that at some point most of us have lost something on a silly night out. My personal list of wayward items includes a wallet, several jackets and not one but two pairs of shoes (don’t-even-ask).Not my finest hours but I can hold my head up high and honestly say that I have never lost any of my pets or their appendages. Now that may seem like a strange statement to make as most people who are planning to hit the town generally don’t take their animal companions with them. I only mention it because it is something that happens in a very famous tale written by Scotland’s national bard Robert Burns. 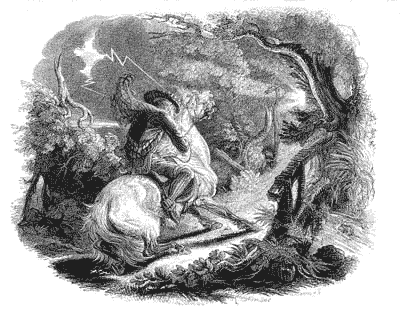 The poem in question is the epic story of Tam o’ Shanter. When I say epic I mean it in all senses of the word as it is not only a stirring yarn but a rather long one too. If you would like to read through it yourself have a look here but I’ll summarise for those with a little less time on their hands. 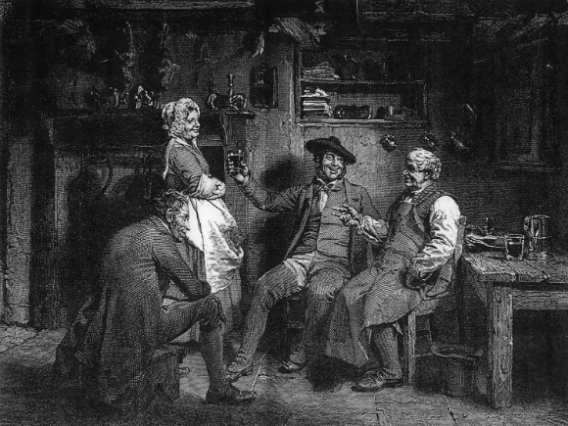 It tells the story of the original every-man Tam who entered the local tavern with some of his friends, as so many of us do, and stayed for one too many (we’ve all been there as well). As Tam leaves to go home he mounts his trusty grey horse Meg and rides through the Ayrshire countryside. I won’t even get started on the legal complications of drinking and riding horseback home nowadays. On his way home he isn’t distracted by the usual temptations of being a little bit drunk (traffic cones, shopping trolleys and kebab shops) but something a lot more other worldly. He comes across a gathering of witches and warlocks who have invited the Devil along for a bit of a supernatural party. Not being the brightest Tam decides to stay and watch the festivities with one young and attractive witch by the name of Nannie catching his eye. Watching her dance in her undergarments (it was that sort of party) Tam loses all of his reason and shouts “Weel done, Cutty-sark!” which basically means “Well done, Short skirt!”. Not a chat-up line with a very high success rate as you can imagine. Tam and Meg then have to make a very hasty get-a-way as they are chased by Lucifer and rest of the magical revellers. Tam heads for the nearby bridge as he knows that his pursuers cannot cross running water. I’m not sure where he learnt this. It certainly wasn’t taught in my school and seems something that everyone should know as it might come in useful. I’d probably use it more than I’ve ever used algebra. Tam makes it to the bridge only for Nannie herself to launch one last vicious lunge at him. She misses Tam but grabs poor Meg’s tail leaving the horse with nothing but a stump. You could claim that Nannie had a case for going after Tam but surely poor old Meg didn’t deserve that! 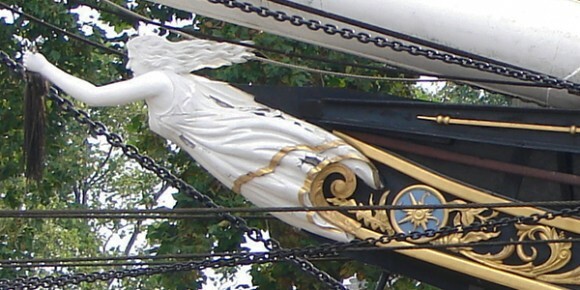 Nannie the witch clutching Meg's tail features as the figurehead of the Cutty Sark clipper. Nose: It certainly doesn’t hold anything back. Bursts out of the glass throwing sweet nutty qualities together with caramel and vanilla. Something reminiscent of a chocolate bar and golden syrup on morning pancakes. It’s so rich and full. With time it brings notes of heather and leather. Cinnamon and cedar wood also pop their heads up. Water helps to bring all the best bits of this to your attention. It’s not often that I find adding water to an already great dram helps but this one is an exception to my little rule. Palate: Very sweet. Malteasers and nutmeg. It has a huge bang on the palate but is still dangerously easy to drink. The spice and nuts linger in the background to round it off. Again water helps calm it down enough to really enjoy all those different flavours. I’d go as far as to say it is a textbook whisky for adding a little bit of water to. Finish: Short and satisfying. The fruits and vanilla leave a pleasant feel on the palate. Overall: A brilliant dram. Crisp, rich and sweet. 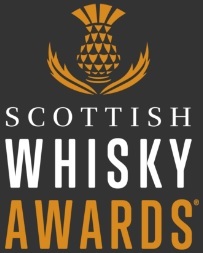 Definitely one to put in front of an exclusive single malt drinker to show then what a blended whisky can be. 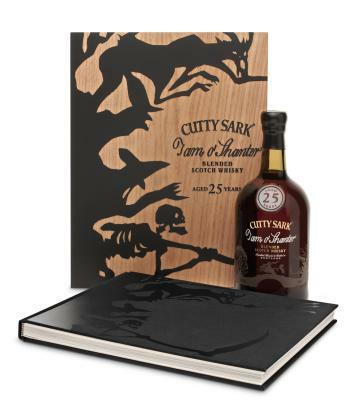 For a limited edition 25 year old £200 isn’t all that bad but sadly I don’t have that kind of money to spare at this moment. One for financial investment? Maybe. 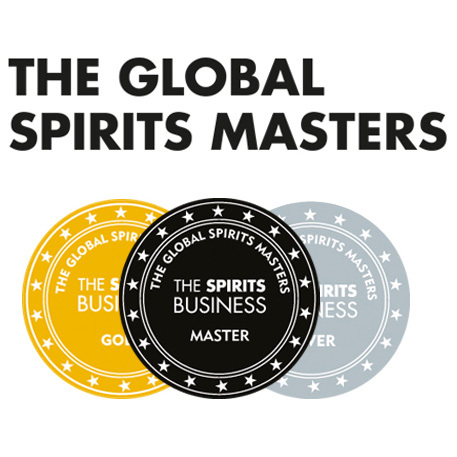 One for personal investment with an eye on drinking it at some point? Certainly. One thing to remember folks; Tam’s story is one of caution. It has a message to it. That message being don’t go out and get too drunk or you’ll be chased by the Devil and your horse will have no tail. I’m not sure it’s completely relevant to today’s society but try and listen to his advice. I didn’t and now I have to go shoe shopping once again. Sigh. This entry was posted	on Tuesday, May 8th, 2012 at 1:04 pm	and is filed under Reviews. You can follow any responses to this entry through the RSS 2.0 feed. Responses are currently closed, but you can trackback from your own site.